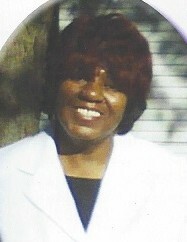 Ms. Althea M. Williams age 59, of 811 B Varsity Drive, Fayetteville, NC departed this life on Monday, April 9, 2018. Funeral services will be held Wednesday, April 18th at 10:00 AM in the Family Fellowship Worship Center. Burial:Forest Hill Cemetery, Boston, MA. She leaves to cherish her loving memories: father, Odell Hokett; two sons, Kareem Hokett and Herschel Bernard Williams; two daughters, Erica Marie Hokett and Deidra LaVonne Williams; four grandchildren and a host of other relatives and friends.